Father's Day The Celtic & Co Way | Blog | Celtic & Co.
Start your day by heading down to the beach, there is nothing more refreshing than waking up to a Sunday stroll with the wind in your hair and the soft Cornish sand between your toes. Whilst for those of us who are lucky enough to call Cornwall our home, this doesn’t differ greatly from a typical weekend morning. Father’s Day is all about pulling the family together and with a ‘more the merrier’ attitude, we will encourage family, friends and in-laws alike to join our walk today, making and sharing special moments with the ones we love. Some of our favourite local walking spots here in Cornwall include the vast Holywell Bay Beach, rugged Pentire Headland and gorgeous Lundy Bay. Next stop, a surf… Whilst it doesn’t come quite so naturally for all of us, we feel safe in the hands of George’s Surf School in Polzeath. Check out our previous blog about him and his amazing team of dedicated instructors, looking to celebrate and cultivate Cornwall’s rich surf culture. 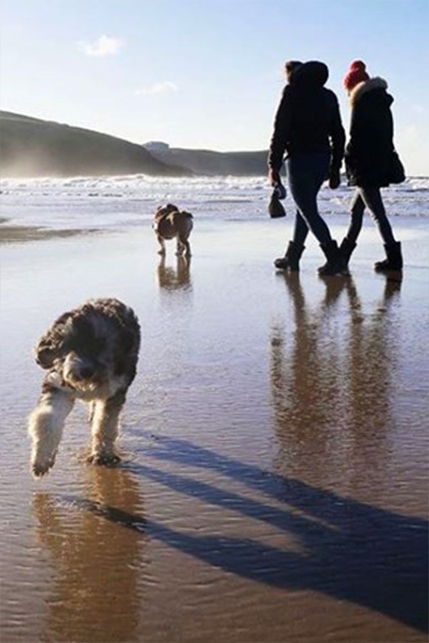 Active, outdoors and fun for all the family, this will complete a morning along the Cornish coastline. After we’ve worked up an appetite it’s time to indulge in some delicious Sunday lunch. A firm favourite amongst us is Trevisker Garden Centre in Padstow. 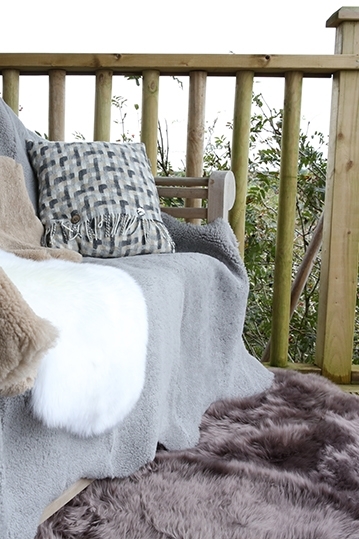 Specialising in coastal plants, this boutique garden centre accommodates for all ages and practices a sustainable approach in their operations. Serving lunch from 12-4, they offer a wholesome Sunday roast amongst a botanical back drop. If a traditional pub is your idea of bliss, visit The Lanherne. This family friendly pub in our hometown of Newquay is a great place to take Dad for drinks, a meal or even better, their carvery on a Sunday! Offering 2 – 3 meats and the widest selection of vegetable sides including braised red cabbage and cauliflower cheese (mmmmmm), plus their heavenly desserts menu. If Dad fancies working off the meal afterwards, they also have a couple of pool tables and dart boards for some after-meal fun. To complete a day designed for Dad, head home, all unwind in Celtic & Co. slippers and watch the beginning of the 2018 FIFA World Cup. With matches on Sunday at both 1pm and 4pm, football will see us through to the evening and build our excitement for England’s first game on Monday. So there you have it, our day of fun for all the family. For something quite Cornish and truly tranquil, let our guide inspire your special family moments, to focus on the things and people that really matter. Get in touch here, we would love to hear about how you celebrated your Father’s days.